A sofa, mattress and a double bed along with general waste have been dumped in a Mansfield alleyway. 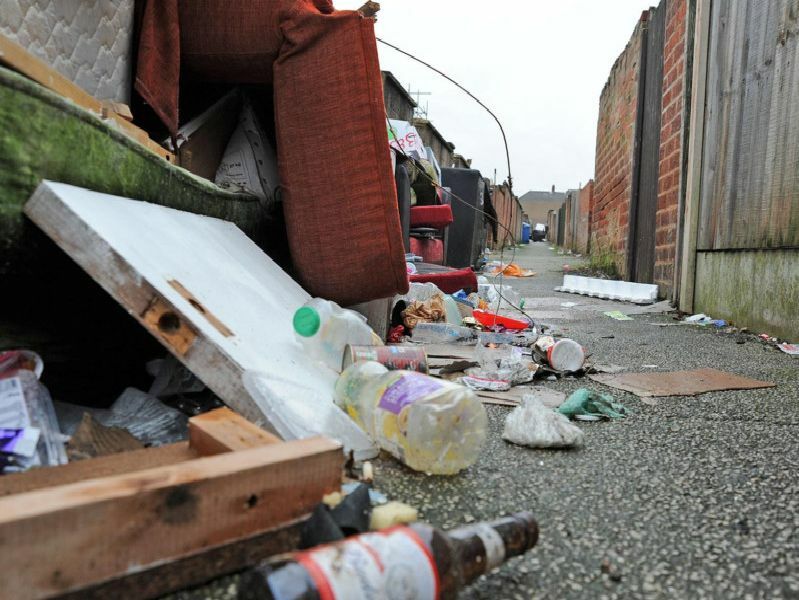 Mansfield District Council are now looking into installingCCTV to try to deter fly-tippers who targeted the alleyway between Victoria Street and Moor Street. The rubbish strewn ally-way between Victoria Street and Moor Street homes. Janice and Michael Melbourne who are supported by fellow Victoria Street resident, Glenn Booth, right, and George Jabbour, left, the Conservative Mayoral candidate, in their fight against charges from Mansfield District Council for fly-tipping removal.